Ready, set...aim for the stars in this action-packed puzzle game. Seriously, you're literally aiming for the heavens as the goal of this kid-friendly challenge is to point your bubble shooter to the sky, shoot and watch as the bubbles burst into a high score. But it's not as easy as that: this is a puzzle game after all, so you're going to need some strategy. Combining state-of-the art- graphics with a mysterious, this free game is fun for the whole family. 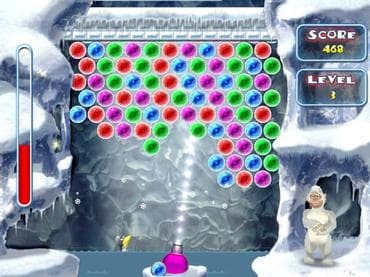 Download free full version pc game today and become a pro in bubble shooters! Free Game Features: - Family friendly bubble shooter game; - Amazing graphics and relaxing soundtrack; - Unique twist to the bubble shooter genre games; - Unique power-ups; - Save / Load game option; - Game statistics; - Free full version game without any limitations. If you have questions about Yeti Bubbles game, please contact us using this form.